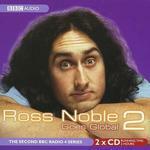 Your search for "Ross Noble" returned 54 results. Ross Noble! : King Of Funny Improvisation! Abhidharma Buddhism To 150 A.D.